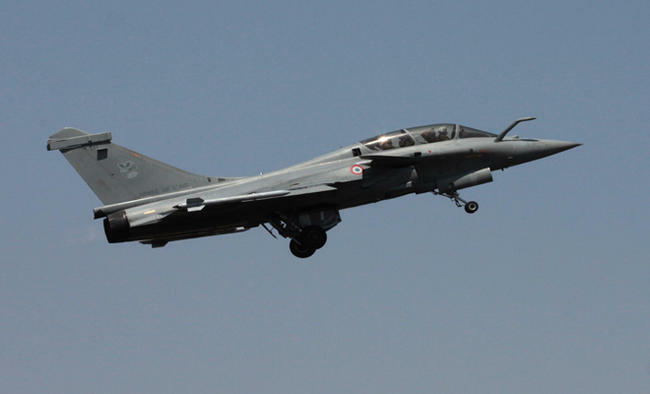 The report contained audit findings relating to the acquisition of Medium Multi Role Combat Aircraft through an IGA with the government of France. "This includes examination of the pricing. "Going into the methodology of the price comparison, the national auditor said the price offered by M/S Dassault Aviation in April 2008 against the Request For Proposal (RFP) of 2007 was a market discovered price and based on competitive bidding.The price offer of 2007 had two distinct packages: pricing for 18 flyaway aircraft package and pricing for ToT package for 108 aircraft which were to be licensed produced in India. The contract consisted of six different packages - Flyaway aircraft package, Maintenance Package, Indian Specific Enhancements, Weapons Package, Associated Services and Simulator Package. There were a total of 14 items under these six packages.Item-wise analysis of prices showed that the contracted prices of seven items were higher than the aligned price, three were same and four were lower. Also the price of elements could not be compared because the structure/format of Dassault bid of 2007 and offer of 2015 were different, it said. On the Engineering Support Package, the report said there is an excess of 6.5 per cent over the Audit aligned price.The CAG also found that on Performance Based Logistics, there is an excess of 6.54 per cent over the Audit aligned price.For Operational Support, equipment and other technical assistance, the Audit found that against the Aligned price of 'ST7' Million Euro, the contract was signed 'ST8' Million Euro with a savings of 'ST13' Million Euro. The CAG said that on Simulator Package, the Audit aligned price is 'SP3' Million Euro, which is the same as the INT aligned price.On Weapon Package, the CAG said after alignment of scope of the aligned price worked out to 'WP1' Million Euro and the contract price was 'WP2' Million Euro, a saving of 1.05 per cent. On the Basic Aircraft package, the Defence Ministry contended that the aligned price worked out by INT and Audit in the case of basic aircraft was the same but argued that the negotiated price of 36 flyaway aircraft was 9 per cent lesser than the price offered for the aircraft in 2007.However, the CAG said: "There is no difference between the bid of 2007 as escalated by INT with actual escalation factors, and the negotiated cost of the 2015 offer, for the same aircraft."